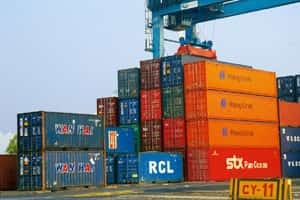 Bangalore: The Union government-owned Jawaharlal Nehru Port (JNP) India’s biggest container port, has pruned its estimate for growth in container traffic by 10 percentage points as the global financial crisis cuts demand for goods. “This year the growth in containers will be lower by 10 percentage points. We expect to grow by 12-14% this year compared to 23% last year," said an official looking after port operations. He declined to be identified. A spokesman for the port declined comment on the subject. JNP handles around 60% of India’s container cargo of around 7 million standard containers a year. The container cargo at the portgrew by 23% to 4.06 million standard containers in the 12 months to March. “The global meltdown is affecting everybody and JNP is no exception," said the official mentioned earlier. The port has three container handling facilities run separately by DP World; a joint venture between APM Terminals Management BV and Container Corp. of India Ltd (Concor); and the government-owned port itself. Between April and November, India’s 12 top Union government-owned ports notched a 7.45% growth in container volumes compared with the same period last year. These ports handled 4.65 million standard containers as against 4.33 million standard containers last year. The management of JNP will meet users on Wednesday to take stock of the situation, the official said.